NCSoft and Carbine studios has just released a new DevSpeak video for their upcoming update for WildStar. 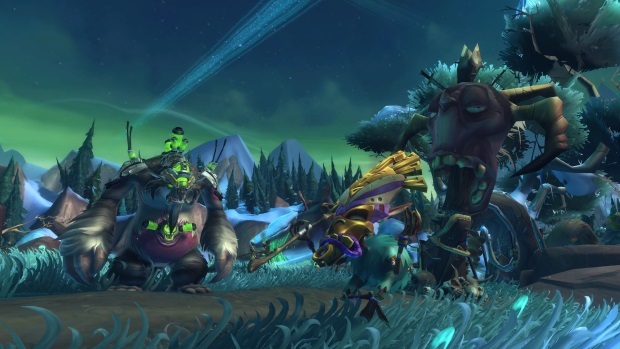 It has only been a month since WildStar launched and they’re already delivering loads of new content in its upcoming “Ultra Drop”, The Strain. If you haven’t heard, of The Strain is a virulent biological anomaly that has begun to spread across planet Nexus. With the power to change life forms into terrifying, mutated abominations, The Strain is an unimaginably dangerous threat. This is more than just a patch! New zones like Northern Wastes and Blighthaven have content for every type of player to enjoy. Also, players will be able to learn more about the Eldan, swim through giant gelatinous blobs, explore new dungeons and ​collect sick Strain infected gear. Get ready for tons of grossness (in a good way). The Strain content is expected to drop later this week.